For 40 years, Gary LaPierre was the voice of morning news in New England. It wasn’t just the clarity and resonance of the voice we welcomed into our cars and homes each day, it was the man himself. For 40 years, Gary LaPierre was the voice of morning news in New England. It wasn’t just the clarity and resonance of the voice we welcomed into our cars and homes each day, it was the man himself. He had important information for us and we best listen up. Gary arrived at WBZ in 1964 as a staff reporter where his first assignment was to travel with the Beatles during the Boston portion of their first U.S. tour. He rose to newsman, then the long-time news anchor during Carl DeSuze’s and Dave Maynard’s popular morning shows. When the station adopted an all-news format in 1992, Gary was the obvious choice to host the morning shift and, in true LaPierre fashion, he adapted flawlessly to the role of on-air personality without compromising his stature as a newsman. 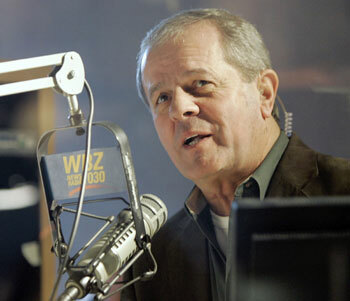 Gary also served for fifteen years as WBZ’s Chief Investigative Reporter. Later, he provided his “LaPierre on the Loose” radio commentaries on the events of the day. By the time he stepped down as co-host of the WBZ Morning News on December 29, 2006, he had received dozens of awards recognizing his journalistic achievements, an honorary Doctorate of Humane Letters from Emerson College and a Lifetime Achievement Award from the March of Dimes for his charitable work. You can still connect with Gary today via his website blog and his commercial voiceovers, narrations, personal endorsements and public appearances.